According to one memorable opening line, “the past is a foreign country: they do things differently there.” It’s a quote that has enjoyed more lasting fame than the novel it came from because it sums up something everyone knows: nothing ever stays the same. While it might take years for fashion to decide that jeans should be skinny, then baggy, then flared, then back to skinny again, another significant aspect of modern living has been changing at a more rapid pace. The digital technology revolution hasn’t only changed the fabric of modern society, it’s done it so quickly that by comparison, the Industrial Revolution seems pretty, well, steam-powered. 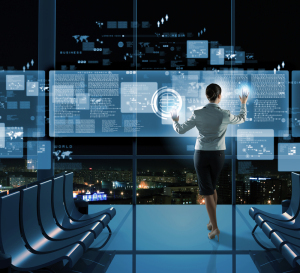 Since it shows no sign of slowing down, businesses are having to future-proof their enterprises by embracing systems capable of not only meeting today’s demands, but also adapting to tomorrow’s digital advances, even though no one is sure what they’re going to be. With so much happening so quickly, we don’t have to go far to discover a digital past that’s a foreign country. Ecommerce powerhouse Amazon started in 1995, the game-changing iPhone only went on sale in 2007 and the iPad arrived in 2010. “Minority Report,” Steven Spielberg’s 2002 big-budget movie, saw Tom Cruise’s character pinch-and-zooming screens as shop window displays tailored their advertising campaigns directly at him. That was a movie set far ahead in 2054 and made only 13 years ago, yet we use incarnations of that technology daily. We are already living in a sci-fi future. But as consumers and customers eagerly embrace technology, the flip side is that businesses face the enormous challenge of updating systems that might only be a few years old, but are already facing redundancy. In a recent survey we conducted, while 81% of respondents felt that becoming a digital enterprise has the ability to significantly alter the way they operate, only 40% felt they were well on their way to becoming one. It’s not hard to understand why. Up until now, many businesses thought they were fine by having data stored in multiple departmental silos. It might not be ideal that the Advertising department stores a different customer email address than the Deliveries department, but neither has it been a big issue. Advances in cloud computing, artificial intelligence and interactive marketing mean that customers expect more from their interactions. In the digital world, customer-facing services need to draw on all the available data, which means bringing that data out of those silos. Here is where the problems occur, because inconsistent data powered by aging legacy systems is often unable to meet modern standards. In-store ”magic” mirror video displays, chip-enhanced electrical goods connected to the Internet of Things – the digital future might be many things but the one certainty is that it will put such complex demands on businesses that the required technology is now beyond the individual skills of any single trader, no matter how gifted their staff is. Indeed, in the survey, we found that while 68% of respondents see digital transformation as being one of their core activities over the next 12 months, a third of companies had already experienced far more disruption to their business than they had envisioned. It’s not an easy time to be in business – eras of great change rarely are. But despite the costs and complexities, the main drive for change is to meet customer expectations, something most businesses polled rated ahead of reduced costs. By building systems from the ground up, companies can react more nimbly to whatever the next tectonic shift in technology is. Oh, and before we go, are you still stuck on that quote? It’s from The Go-Between, LP Hartley’s 1953 novel about an illicit Edwardian romance. In that foreign country of the past, you might have spent an hour flicking through books to chance upon it. These days, your smartphone probably told you the answer in seconds. 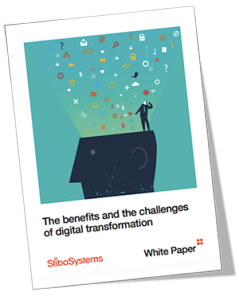 Download the research statistics here to get a detailed insight into how organizations from different verticals are embracing digital transformation strategies.